Thread: Lelit PL62 Mara — typical lifespan? Question for Mara owners and former owners ... has anyone used a Mara until it died? (And by “died”, what I mean is that it didn’t make sense to repair because the cost of repair would be on par with the cost of an equivalent new machine.) If so, how many years did you get out if it? I bought mine in December 2014. Since then, I’ve used it everyday, making 2-4 double shots. I backflush with water daily, with Cafiza every 2-4 weeks. I’ve descaled it twice, and replaced the pressurestat once due to corrosion. At the moment, it’s working, but as I pull a shot the pump pressure slowly drops 1-2 bars over ~30 secs, and once in a while the pump gets quiet and pressure drops significantly. So I brought it to a tech. The tech told me that a whole laundry list of parts are failing, and advised me either to replace all of them together or just to let the machine die and replace it. He described the machine as “tired” (whatever that means) and sent me this photo. So, does ~4 years sound like a reasonable lifespan, or should I seek out another tech? Four years sounds very ordinary to me, most quality machines will make the 10 year mark with a little care and preventative maintenance, my current Bezzera machine is 10 years old and still going strong. Try another repairer, if you let us know your location perhaps someone can recommend a good repairer. It does look rather badly corroded for a 4 year old machine, but I don't have a Mara and can't comment on whether this is typical. Was it used in a harsh environment? Hi Thunder240! Tech from Crema here - Looks like there is a bit of scale on top of the boiler possibly from a leaking anti vacuum valve. Yelta is correct though, you should get more than 4 years out of a quality machine like this one. I just looked up the price of the Mara and it’s around the $2200 mark. I could not see any repair or service that would come close to this price, possibly it could be around the $600 for a full service and repair. It might be worth considering a new machine which will have newer technology and you will get a warranty with a new machine as well. Maybe even get a quote with everything the technician said needed to be replaced and let us know on this forum, we can see if it's accurate for you. He also added that the on/off switch and level control are currently functional but “no telling how long they will last”, suggesting that when they fail I’ll be right back in his shop paying for more repairs. Over here in the States, the Mara retails for $1400, but it’s fairly common to see it on sale for $1100-ish. I think his labor rate ($150/hr) is what most techs would charge in SF. It’s high, but we have Silicon Valley to thank for that. Water where I currently live is wonderful, almost no calcium. However, until last November I lived in Virginia, where the water is pretty hard. Crema, thanks for the advice. Well, after some reflection, checking the bank account, and doing some research on parts availability, I think I have a plan. In the near term, I’m going to buy a double boiler PID machine with a rotary pump. 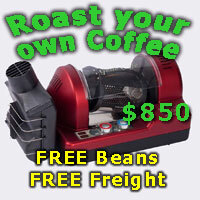 There are several available here for around $2500 USD from the likes of ECM, Quickmill, Profitec, Rocket, Bezerra, as well as Lelit, and I’m sure other brands as well. Once it arrives, I’ll take my PL62 down to my garage, order the parts, and see if I can teach myself how to service an espresso machine! It may take a while, but I’m guessing the experience will serve me well, and if I manage to eventually replace all of the worn/corroded parts and get the machine reassembled, I’ll add it to my go-kit! Last edited by Thunder240; 13th September 2018 at 05:26 PM. Dimal, noonar, level3ninja and 1 others like this. These all seem pretty easy to replace by yourself. I replaced the water pump in my last coffee machine at $30 in 15 minutes. Make sure you get a water filter too as there is evidence of limescale in your photo. The use of softened water and regular servicing will save you $$ in the long run. Would you guys also replace the two copper tubes coming out of the boiler, and that valve at 12 o’clock on top of the boiler to which one of the copper tubes connects? If yes, how does the calculus change if I discovered that this valve is actually part of the boiler itself (according to the PL62 parts diagram)? Excluding the boiler replacement, I bet I can do it. Certainly worth a try before giving up on the machine. Finally, for what it’s worth, this guy’s prices for the parts are double what the US importer of Lelit would charge me for a retail order. Nice, thank you Charlie. I may get in touch with you by email or PM. Sorry to read about the woes from your machine. A HX like the Lelit should be pretty bulletproof. I would try a good descale (look up how to do it properly on a HX). It usually solves most problems. Downside is if you have big chunks of scale, it could block valves - happened to me - had to take everything apart and soaked it in citric acid. If you have the time and inclination, you could do all that servicing yourself. Most of the parts listed could be taken apart and clean up. You could have had a sticky vacuum valve accounting for the corrosion. Again, fixed by a soaking and cleaning and replacing the o-ring if needed. You could even repair the pump itself if you want. Just search "Ulka pump o-ring and ball" on ebay. The carbon on the Pressurestat could also be cleaned up for a little more life also. Curious to hear how it worked out for you? I'm interested in the PL62 Lelit HE and concerned about the longevity after hearing about your woes. No matter what you buy, use properly filtered and softened water and have a regular service done by a specialist and you'll get the most out of it. 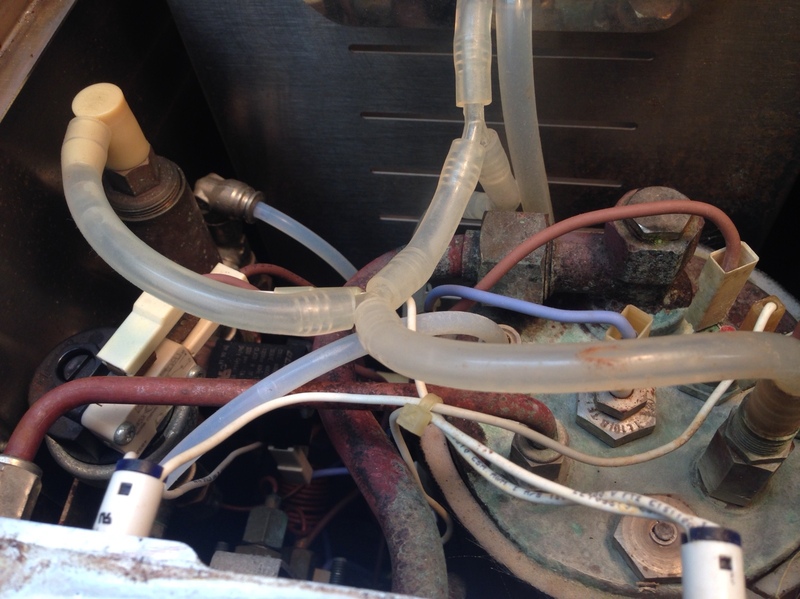 Any machine that gets limescale in it will generally require expensive descaling and parts replacement within a surprisingly short time frame. Charlie is right on the ball there. Saying there’s something wrong with every mara from this one issue is like saying there’s a problem with every ford because one ford had a problem after 3 years after 3 years of dirty fuel, no servicing and one component failure that spewed water over the engine bay and caused surface corrosion. Well, after opening up my machine and seeing for myself the tight quarters, I got cold feet! So instead, I took it to another tech for a 2nd opinion. After an inspection, he replaced all of the soft parts inside the group and the valves, along with a corroded wire, for a much more reasonable $183 USD (150 for labor, 33 for parts). He thinks the gasket or threading inside of the safety valve leaked as a result of wear, but apparently these machines use valves with replaceable soft parts, which is great. So, I’m back in action! In case anyone is looking for a tech in California, the shop is Great Infusions in Santa Cruz. Dimal, Yelta and level3ninja like this. As an aside, drove from San Jose to Santa Cruz via the Big Basin Redwoods State Park a few years ago, spectacular! Last edited by Yelta; 4th October 2018 at 09:07 AM.